Asheesh R. Mohindru is an associate at Carlson, Calladine & Peterson. His practice involves litigating complex, high exposure cases involving wild fires, natural disasters, professional liability and catastrophic injury. Mr. Mohindru has experience handling cases throughout all phases of litigation in both state and federal court. 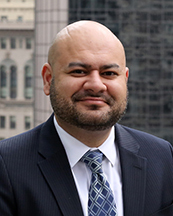 Before joining Carlson, Calladine & Peterson LLP, Mr. Mohindru was an associate at a well known defense firm where he defended clients in cases involving catastrophic personal injury, wrongful death, breach of contract, nuisance, and landlord tenant disputes. Mr. Mohindru was designated a Rising Star by Super Lawyers Magazine in 2013, 2014, and, again, in 2018.